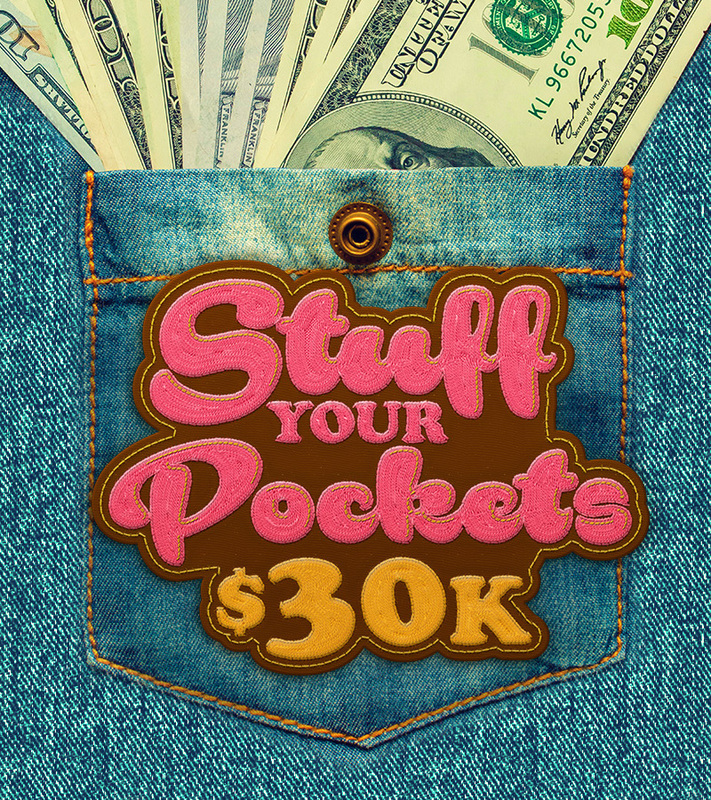 STUFF YOUR POCKETS WITH A SHARE OF $30K! Earn entries all month long and join us each Friday this month for your chance to take home a share of $30,000 in cash, Bonus Play and prizes! Drawings begin at 6 p.m.